FBBR (Frederiksborg Fire & Rescue Service) provides fire and rescue services to the municipalities of Frederikssund, Halsnæs, Hillerød, Gribskov, Egedal and Furesø in the center of the island of Zealand, in Denmark. The six municipalities are home to approximately 250.000 inhabitants, who live within a land area of 1058 square miles. The fire department’s key activities and responsibilities include responding to and preventing: fires, road accidents, flooding, fires at sea, hazardous material and chemical incidents, major incidents including terrorist attacks, boat preparedness and providing other humanitarian services such as rescuing casualties from a variety of emergency scenarios. Like all fire and rescue services in Denmark. FBBR’s operational activities are overseen at the national level by the Ministry of Defense. FBBR has long term strategic aims of providing the social, economic and environmental well-being of the residents of the six municipalities. Central to this is a focus on preventing fires and other emergencies from happening and in doing so reducing death, injury and damage to property. FBBR has 23 full-time staff, six municipal fire stations with approximately 85 part-time firefighters, four volunteer fire stations (two of them shared with part-time firefighters) with approximately 100 volunteers and five fire stations owned and staffed by a private contractor, Falck. FBBR’s headquarters are located at the city of Frederikssund and is divided into the following three departments covering 1) Operational services 2) Fire Prevention 3) Strategy and Coordination. Since the 1st of February 2017 Frederiksborg Fire & Rescue Service has increased its focus on social inclusion especially within the field of children and youth and has hired a fulltime employee within Strategy and Coordination to develop local and international social inclusion projects. FBBR has already partaken in several activities promoting social inclusion with great success and therefore wishes to develop activites within the field of social work. In four of the six municipalities that FBBR covers the crime rates are average, however Gribskov municipality has the 4th highest crime rate in Denmark (please see http://nyheder.tv2.dk/krimi/2015-10-20-top-10-danmarks-mest-kriminelle-kommuner), whereas Egedal municipality has one of the lowest crime rates in Denmark (please see http://www.tv2lorry.dk/node/20588). This is interesting in the sense that Egedal municipality established a Junior Fire Brigade in 2011, which is still running, and which stands in contrast to Gribskov municipality where they do not have a Junior Fire Brigade. On top of this most of the municipalities have a lot of social housing projects where many of the inhabitants have poor educational backgrounds, are without a job and receive welfare, come from low-income backgrounds and do not partake in society. Finally, many of the municipalities have taken in large numbers of refugees in the recent years. This target group must fight even harder to not end up as excluded from society as many of them have experienced traumas and do not speak Danish. The refugees often get placed in social housing projects with inhabitants who are already socially excluded, which acts as a further barrier towards social integration. Promote fire safety, including the provision of information and publicity on how to prevent fires, and on the means of escape from buildings in case of fire. Extinguish fires and protect life and property in the event of fires. Rescue people and protect people from serious harm in the event of road traffic accidents. When necessary deal with emergencies other than fires and road traffic accidents. NFRS also has a duty under the Civil Contingencies Act 2004 to produce a Community Risk Register (CRR), which identifies potential risks to the community. This assists NFRS’s work in risk management planning, training, allocation of resources, preparation for emergency incidents and work focused on prevention and community engagement and inclusion. Furthermore, under the Fire and Rescue National Framework for England (2012: p10), NFRS and all fire and rescue authorities in England ‘...must work with communities to identify and protect them from risk and to prevent incidents from occurring’. Preparing for, training and responding to a wide range of emergencies and major incidents, including: Fires, Wildfires, Road Traffic Collisions, Flooding incidents, Rescues and other incidents. NFRS is very active in the field of education and training and is responsible for developing and delivering high quality training to develop and maintain the competencies of its staff. NFRS also provides high quality training to other organisations (both within and outside of the UK). NFRS brings significant practical experience and specialist knowledge to the project team. NFRS is experienced in working on collaboration projects with international partners to produce high quality results. NFRS is also experienced in developing educational material both to inform members of the public and to train its own staff. 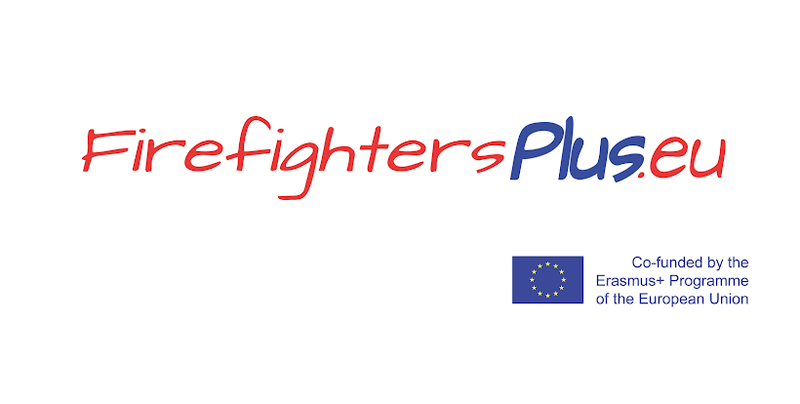 Furthermore, NFRS has a substantial network of contacts within the UK and around the World and these contacts can be utilised to promote the project and to gather information that could be used to inform the project. KW PSP (Komenda Wojewódzka Państwowej Straży Pożarnej w Poznaniu - Provincial Headquarters of State Fire Service in Poznan) is a public administration body, which is responsible for organisation and supervision of National Fire and Rescue System in Wielkopolska Province (second biggest in Poland, equals in territory to the size of Belgium, with 3.4 million inhabitants). It carries out rescue actions, preventive actions (also involving social community actions). KW PSP has 102 employees, but it directly supervises 31 county headquarters and 44 Fire and Rescue Units, which comprise more than 2,300 professional firefighters. Wielkopolska (Greater Poland) is a large and varied region. It is second in area and third in population among Poland's sixteen voivodeships, with an area of 29,826 square kilometres (11,516 sq mi) and a population of close to 3.4 million. Its capital city is Poznań; other important cities include Kalisz, Konin, Piła, Ostrów Wielkopolski, Gniezno (an early capital of Poland) and Leszno. The city of Alcalá de Guadaíra, with a population of 72.458 inhabitants, is located on southern Spain in the region of Andalusia. The City Council of Alcalá de Guadaíra is organised in three areas of government, each chaired by a Deputy Mayor. Each area has executive and administrative powers in matters which are ascribed. - Area of Strategic Policies, including the following departments: trade, economic development, training and employment, education and innovation, culture and flamenco, events, wealth and museum, tourism and environment. youth, sports, governance, equality, social services, and volunteering. The Fire and Rescue Service from Alcalá de Guadaíra, integrated in the Area of Land and People of the City Council, is composed by 27 full-time firefighters and 5 fire-team leaders. Its mission is the protection of citizens through prevention and intervention in situations of risk, emergency and disaster. The most frequent actions are usually urban, industrial, forestry and rural fire extinction, traffic accidents and rescues trapped diverse. However, the Fire and Rescue Service from Alcalá de Guadaíra is also used to respond to natural disasters (e.g. floodings, wildfires, etc.). IFV (Instituut Fysieke Veiligheid - The Institute for Safety) is an independent administrative body established by Law (IAB/ZBO). The position of IFV is defined in the Dutch Safety Regions Act. IFV has a location in Arnhem and two locations in Zoetermeer. IFV has more than 250 employees. IFV is the national support organisation for the 25 Dutch safety regions. The IFV supports the safety regions in strengthening the fire brigades and developments in the field of disaster and crisis management, including prevention of fire and accidents. The IFV activities include developing, brokering and securing knowledge for professionals in the field, training, excercices and field experiments and policy and administrative support to the civil and administrative high level. Each region has a fire service organisation. The Netherlands Fire Service forms a part of the IFV organisation and executes specific programmes and projects for the 25 fire service organisations throughout the country. The programmes facilitated by The Netherlands Fire Service concern the areas of community safety, risk management, fire fighting and incident control, human resources, business management and information management. The activities within the programmes take place through co-creation with people working in the regional fire services throughout the country. EDRC (Fundația Centrul de Resurse pentru Diversitate Etnoculturală - Ethnocultural Diversity Resource Center) is a non-governmental organization based in Cluj-Napoca (Romania) aiming to contribute to the construction of democracy by promoting principles of ethnocultural peace and justice. Since its setting-up, EDRC has contributed to the promotion of good governance in multiethnic communities through training activities for policemen and public servants working for the local public administrations in multicultural communities. So as to encourage young people belonging to national minorities to choose a career within the Romanian Police, the campaign Mission possible was implemented. Starting with 2010 this initiative continued with a camp for children having different ethnic backgrounds. Participation in this camp allowed them to test their abilities to follow a career within the Police. EDRC’s concern for multicultural education materialized in providing support for the educational success of disadvantaged children, publishing Romanian language textbooks for students of the national minorities, developing a curricula and didactic materials for an elective course on multicultural education for 3rd and 4th grade and training sessions for teachers of Romanian educating national minority students. In its efforts to promote interethnic dialogue, EDRC has developed a multicultural partnership for Cluj, a project focused on monitoring the implementation of minority rights at the local level. The strategy has been included in the local development strategy of the city and managed to establish a strong partnership between EDRC and the Cluj-Napoca City Council. The national campaign Treasure diversity aimed to improve perception and appreciation of diversity. Presenting the story of various characters, through a serial of TV spots, posters, postcards, and also an educational package, the campaign promotes ethnic and cultural diversity in Romania. In the same way of promoting interethnic dialogue, EDRC initiated an analysis of the relations among different institutions involved in adopting and implementing legislation in the field of minority rights and thus aimed at promoting cooperation among these institutions. EDRC monitored the implementation of the European Chart for Regional or Minority Languages in Romania, assessing the execution of ethnic communities’ linguistic rights. Starting with 2010 to present, EDRC facilitated the access of disadvantaged groups on labor market, in Center and North-Western development regions, an important number of rural communities being part of social inclusion strategic projects, through integrated activities such as, information, guidance, training and counseling for employment and furthermore by raising awareness of 100 managers and employees of private agencies that provide employment services to vulnerable groups. EDRC also promotes the principle of equal chances and gender equality through facilitating the access to the labor market for at more than 700 women in the North-West and Centre development regions. EDRC has also been part of transnational partnerships facilitating exchange of experience with a view to social inclusion and the active participation of adult learners from disadvantaged social groups to promote and improve social inclusion through education and community involvement. WIOSNA Association (Stowarzyszenie WIOSNA) was established in 2001 as a non-profit organization. Our mission is to promote solidarity with the people in need, to mediate in the organization of assistance and create a civic society. First and foremost, we want people to effectively help each other. We operate mainly through volunteer work. Only last year we involved over 11.800 volunteers and community leaders in our projects. All our projects are based on aid mechanism, which relies on a careful diagnosis of needs and only then involving smart, well-designed and most effective ways of helping people in need, so that it inspires them to change their lives. What distinguishes our organization from others is our efficiency. The value of aid has been gradually growing. Last year alone, we helped and assisted over 19.500 families and 1.800 children with a total aid value of EUR 8.000.000. WIOSNA is managed centrally by the team of 136 employees working in the head office in Krakow. However, for the Nobel Parcel and Academy of the Future projects regional structures consisting of coordinators, assistants, coaches, experts from PR and teams of volunteers were created. Regional structures work according to the standards and guidelines developed in the head office, but at the same time every team member can have his/her input in preparation of the concept and actions of the project.